Product prices and availability are accurate as of 2019-04-19 20:18:30 UTC and are subject to change. Any price and availability information displayed on http://www.amazon.com/ at the time of purchase will apply to the purchase of this product. SOMETHING ABOUT US- ZXHAO have the customers satisfaction for their first priority. If you have any questions,please feel free to contact us by mail FIRST. We will offer our best service for you. 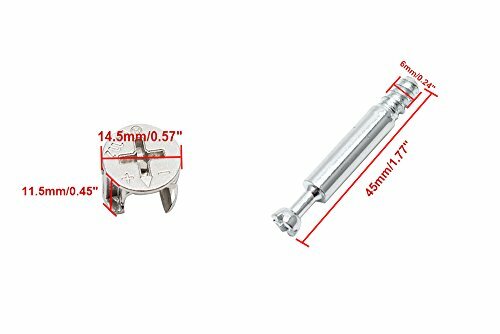 Cam Fitting Size: 14.5 x 11.5mm/0.57" x 0.45" (D*H); Material : Metal; Dowel Length : 45mm/1.77" ; Dowel Thread Dia: 6mm/0.24" No need to cooperate with the nuts,use its self-tapping screw to lock into the plate. It can withstand greater pressure, and has large pitch and no damage to the hole. 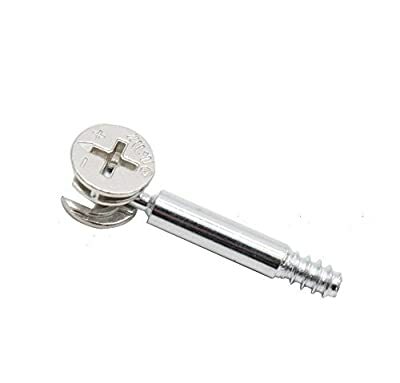 Be suitable for the panel connecting of your panel furniture, office furniture, cabinet and wardrobe etc.